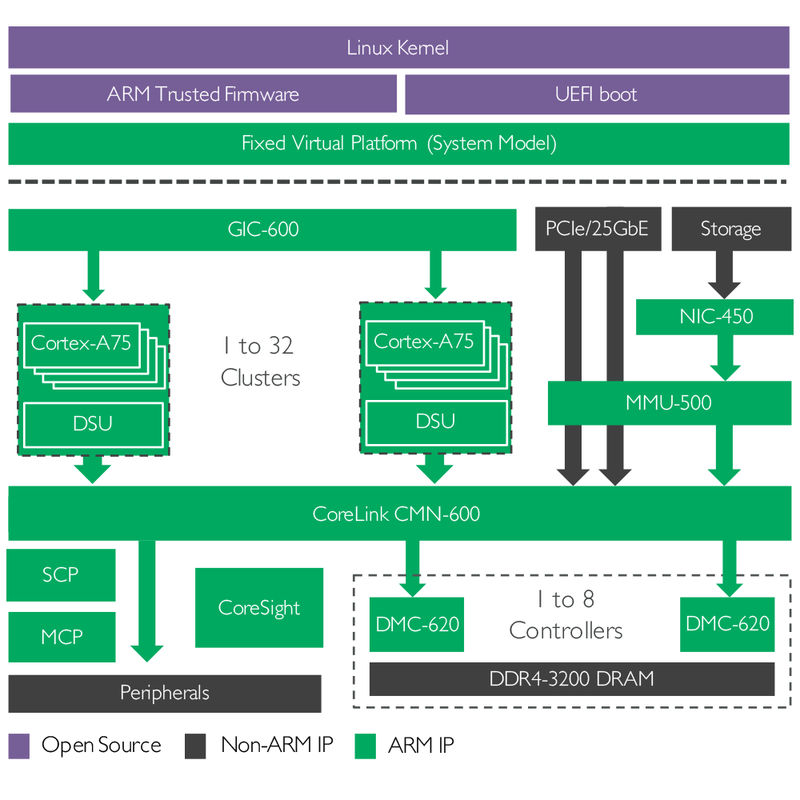 The Arm CoreLink CMN-600 Coherent Mesh Network is a scalable, high performance interconnect that has been optimized and validated with the latest Arm v8-A processors. Together with Arm IP Tooling, designers can create RTL in minutes and assemble systems in days. CoreLink CMN-600 has a shared agile system cache that significantly reduces latency for allocation and sharing of data between processors, accelerators and IO. The mesh network has been designed for intelligent connected systems across a wide range of applications including; networking infrastructure, storage, server, HPC, automotive and industrial solutions. CoreLink CMN-600 is the 3rd generation of cache coherent CoreLink interconnect technology. Arm CoreLink interconnect products have been licensed over 500 times and the cache coherent products have been licensed over 75 times. The products have been licensed by a wide range of partners in multiple markets, shipping in billions of production devices.